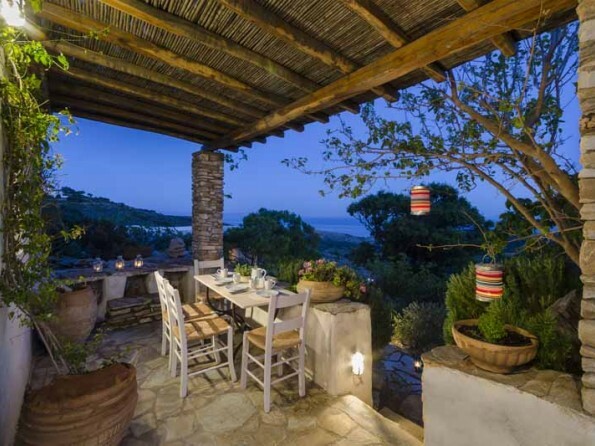 This centuries old renovated gem of a farmhouse on the Greek island of Paros is set in the mountains, and has spectacular views of five Cyclades islands. 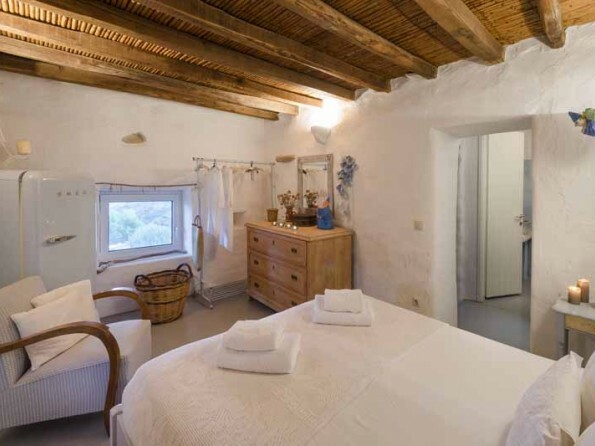 Sleeping up to seven in four bedrooms, it’s a wonderful mountain hideaway for those seeking peace and tranquility, yet within easy reach of beaches and tavernas. 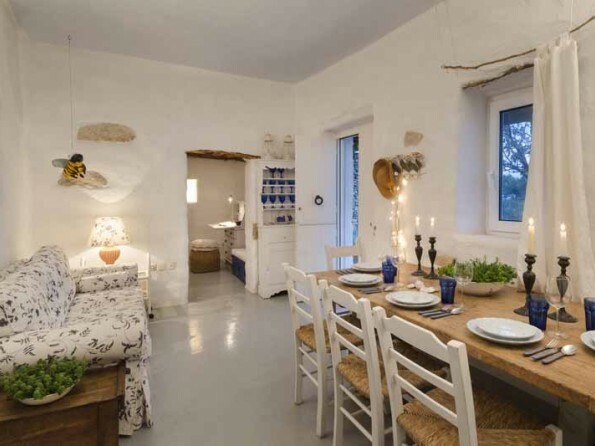 This gorgeous and remote property is a perfect retreat, ideal for those who love hiking, painting or other creative pursuits. 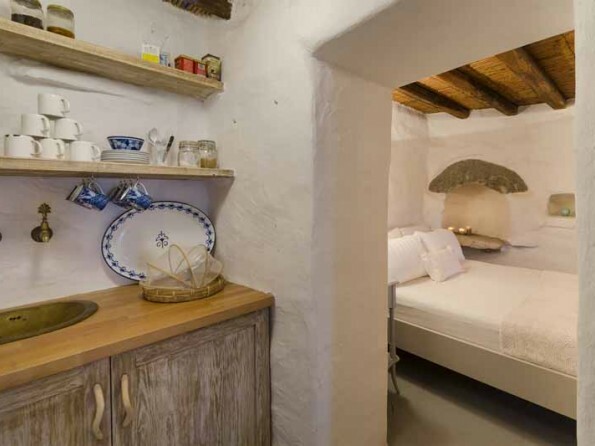 Here, you are in the heart of quintessential ‘old Greece’ - a bit off the beaten track, but within just a few minutes drive of villages, beaches and tavernas. 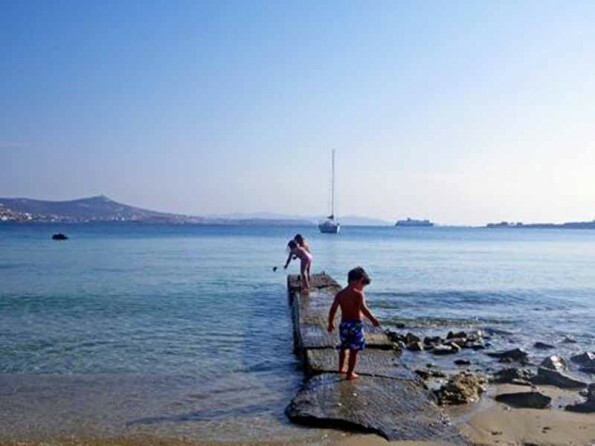 Paros is truly an island with something for everyone – perfect for families with small children, older travellers, and honeymooners alike. 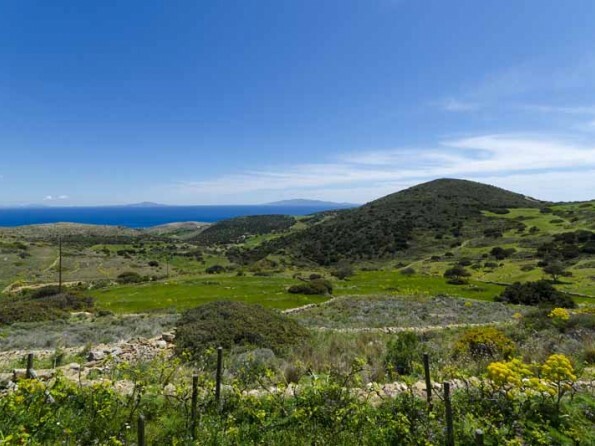 It sits at the center of the Cycladic islands in the Aegean sea. The Cyclades are some of the most popular Greek islands, due in large part to their beautiful sandy beaches and sparkling azure waters. 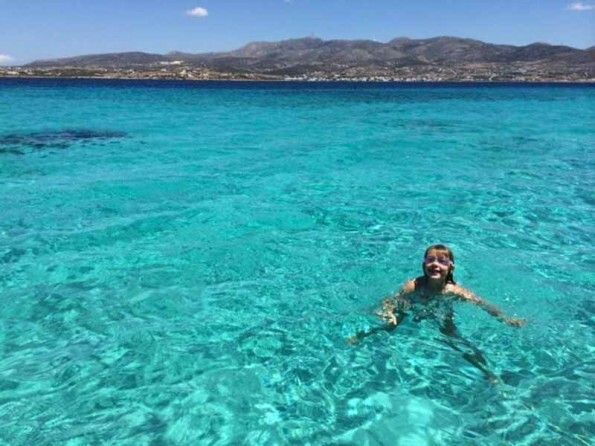 Paros shares this blessing – the island's beaches are magnificent, some bustling with bathers, kite surfers and windsurfers, others quiet and practically untouched. 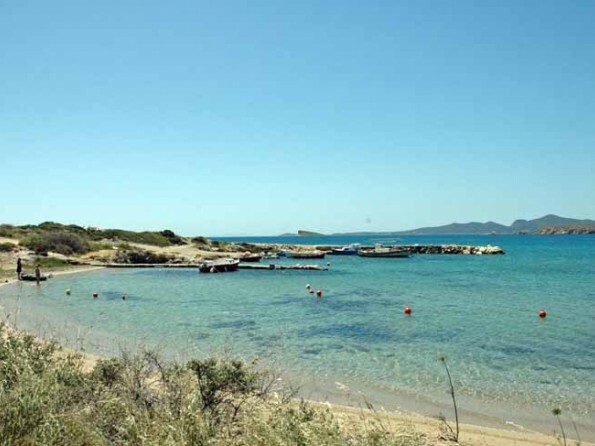 Golden Beach, Kolymbithres, and Santa Maria are likely the most well known and perhaps the most spectacular, although each corner of Paros offers its own coastal treats. 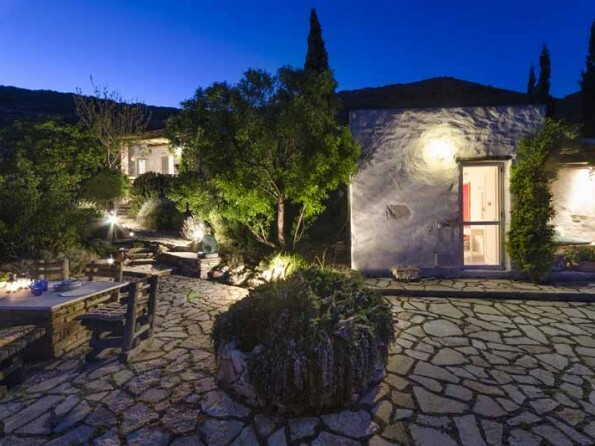 Visitors to the Olive House are likely to frequent Voutakos, Pygadaki & Alyki beaches – all within a 10-minute drive of the house and each with their unique charms. 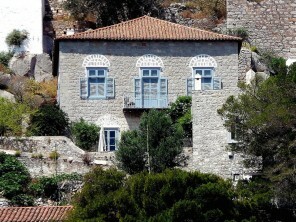 The house is made up of two originally separate traditional structures. The upper cottage sleeps three in an open plan living space. 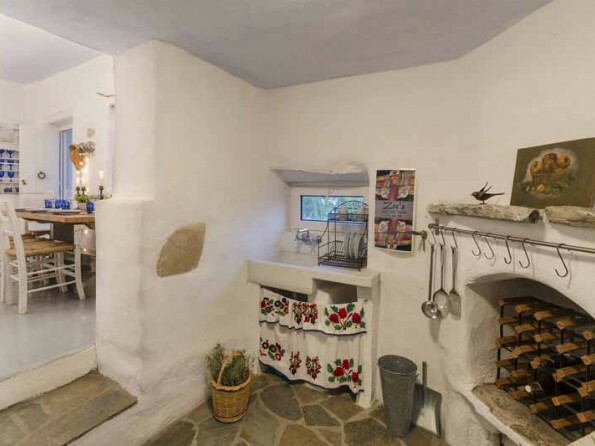 The charming kitchen is also upstairs. The lower cottage, once the goat house, has been converted to sleep four more people - two in the queen size bed in the master bedroom, and two in twin or bunk beds in a separate bedroom. In the past, three generations of farm families lived there with seven children each, now every detail has been impeccably and artistically designed. This mountain retreat blends the historic with artistic design, sparkling cleanliness, and all amenities. 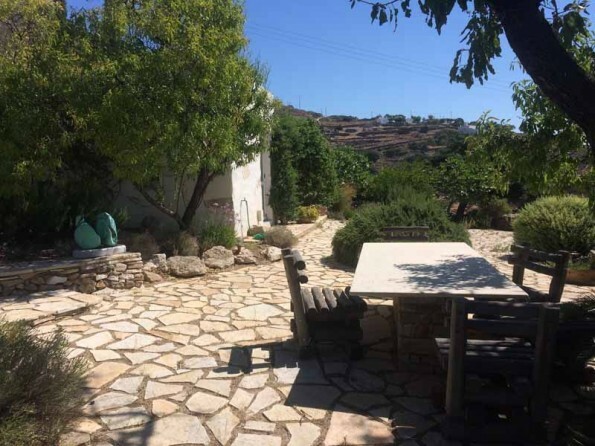 Outside there is a beautiful herb garden with fig, pomegranate, almond and olive trees. Sit out and admire the beautiful sea and mountain views, and enjoy sipping a cool drink whilst listening to the birds and wildlife all around. VBeyond the obvious delights of the sea and sun, visitors will discover rich historical treasures, a diversity of art galleries, and excellent locally produced food and wine. 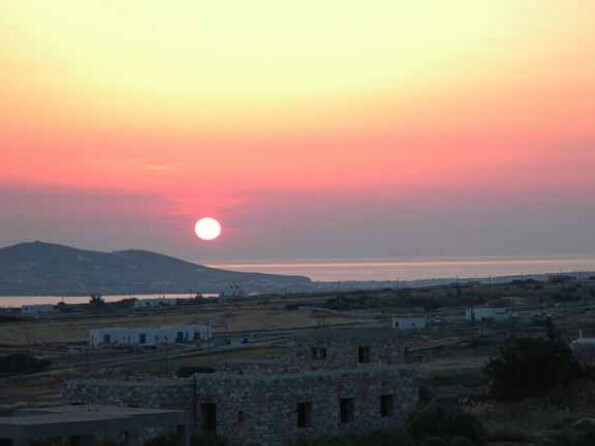 You are well positioned both to indulge in a glorious, relaxing holiday and also immerse yourself in art and culture. 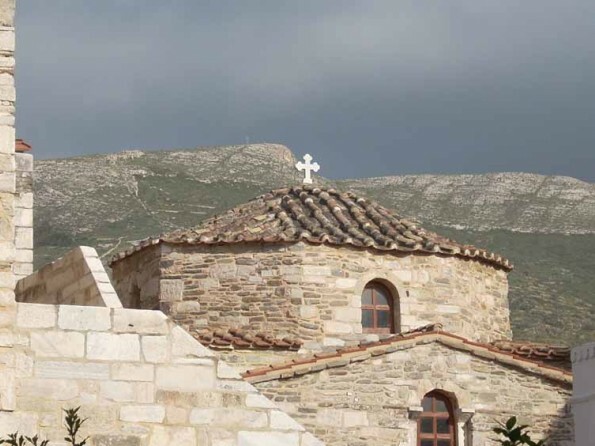 The Aegean Center for the Fine Arts offers workshops, seminars, and study abroad programmes. For those eager to venture further afield, ferries to neighboring islands operate regularly throughout the high season. The islands of Antiparos, Naxos, Mykonos, and Tinos in particular are only a short boat ride away and can easily be seen in a day trip. Deposit payable on booking. 100% refund for cancellations more than 60 days before check-in date. 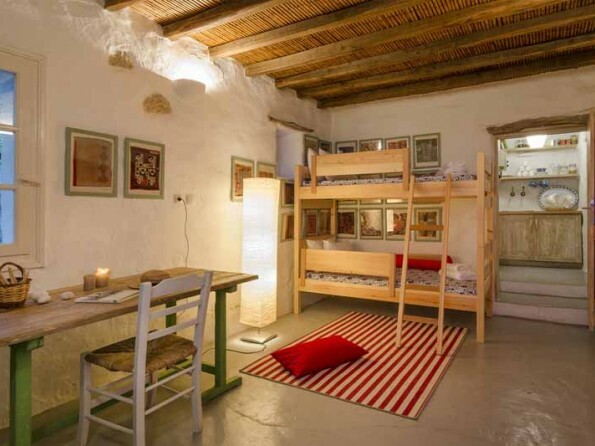 Long term rentals available - enquire for pricing. We highly recommend booking a 4x4 vehicle in case roads are rough during your stay.